This entry was posted in Events, Libraries and tagged Auburn University Libraries on March 25, 2014 by Wire Eagle. At 3 p.m. in the Special Collections and Archives Department of the Ralph Brown Draughon Library, the author of “Genius in America”, Mary Ellen Hendrix, will read from the book. Knowles will discuss his career and answer questions from the audience. Immediately following the program there will be a reception and a book signing. 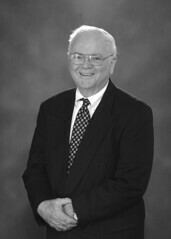 Knowles recently donated his personal papers and photos to the university. Some of the photos include glimpses of Auburn life from 1945 to 1951 and will be on display.